Another week begins, and Nintendo of Europe has served up its Download Update details with some promising releases on the way. We have some rad cross-buy for Wii U and 3DS gamers, mash-ups, retro games making their first appearances in Europe and much more. Let's get to it. OlliOlli (Curve Digital, €8.49 / £6.79 until 19th March, then €9.99 / £7.99) - The popular twitch-reflex skateboarding title from Roll7 makes its way to Nintendo hardware, with a whole load of tricks, combos and grinds to master. It features tricky stages, online leaderboards and daily online challenges to take on, all with tight controls; critically acclaimed on PSN, we'll let you know how it stacks up on Wii U. You could always check out our preview while you wait. Available in cross-buy - purchase on Wii U or 3DS and get the other version free, providing both are on the same Nintendo Network ID. BLOK DROP X TWISTED FUSION (RCMADIAX, €2.99 / £2.69) - As the name makes clear this blends the Nintendo Web Framework falling block puzzler with the upcoming Twisted Fusion; it applies some twists to the minimalist puzzling of the first RCMADIAX title. We rather liked this in our BLOK DROP X TWISTED FUSION review. 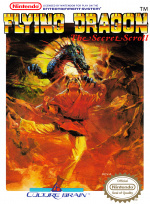 Flying Dragon: The Secret Scroll (Culture Brain, €4.99 / £3.49) - This title never made it to Europe when it was originally released in the late '80s, with this release giving the region a first look at its blend of sidescrolling stages and one-on-one fights. We'll summon our inner-Ninja and bring you a review soon. This is the US version of the game. 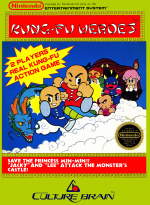 Kung-Fu Heroes (Culture Brain, €4.99 / £3.49) - Another NES title that wasn't originally released in Europe, this one adopts a top-down performance and is primarily an action beat 'em up, with plenty of retro style. We'll crack some skulls and bring you a review. This is the US version of the game. OlliOlli (Curve Digital, €8.49 / £6.79 until 19th March, then €9.99 / £7.99) - The same game on the go, this does have a slightly more zoomed out perspective, yet otherwise has all of the same dual screen and online features. We'll bring you a review soon, and also covered this portable entry in the preview linked above. Available in cross-buy - purchase on Wii U or 3DS and get the other version free, providing both are on the same Nintendo Network ID. Proun+ (Engine Software, €4.99 / £4.50 until 19th March, then €5.99 / £5.39) - Originally on smart devices, this has a simple momentum-based concept in which you guide a ball along tricky on-rails courses, trying to avoid obstacles as your speed increases. It's a simple concept infused with stylish visuals and an excellent soundtrack - we'll bring you a review soon, but we certainly enjoyed our time with this in our Proun+ preview. 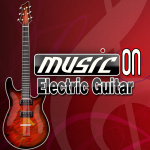 Music On: Electric Guitar (Abylight, €1.99 / £1.89) - Originally part of a series of releases on DSiWare, this allows you to recreate chords, pedal effects and more on your 3DS, a virtual stylus-based guitar to replace your air variation. Back in the day we thought this was solid enough, but will bust out some tunes for a review of this updated version. 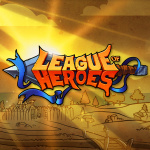 League of Heroes (Gamelion, €3.99 / £3.59) - This is a relatively simple hack 'n slash top-down experience, and includes some abilities to improve armour and abilities that bring the Monster Hunter series to mind. We gave this a reasonable recommendation in our League of Heroes review, highlighting a lack of depth in gameplay as a shortcoming. Cooking Mama 5: Bon Appétit (Nintendo, €29.99 / £24.99) - The latest entry in the popular series, which is packed with positive reinforcement and cuteness; we gave this a solid recommendation in our Cooking Mama 5 review. Available from 6th March. Gardening Mama 2: Forest Friends (Nintendo, €29.99 / £24.99) - Available from 6th March. Hmm... Tengami is on sale, maybe I should pick that one up. It's been a long time since the weekly list has been this bad. Definitely nothing for me! Bad week. Will maybe get Tengami but that's it. Pretty bad week, nothing for me. Master Reboot definitely. Maybe Tengami too even though it's quite a shame they didn't give it Wii Remote controls. BLOK DROP X TWISTED FUSION's price point imo is too high in comparison to the US version so i'm waiting for a sale on that one. Might get some of the others too if reviews point me in that direction. Think I'll pick up Olli Olli. Cross-buy between Wii U and 3DS, plus the fact that it's discounted for the first two weeks, are how I would like to see the e-shop continue. Not sure why mostly everyone thinks it's a bad week? There has been far far worse! Oli Oli is supposed to be great and it's cross buy,and although I wont be getting them,there is 2 NES titles never released in Europe which in the past would have been seen as quite a big thing.Then there is that Proun which is supposed to be alright too.So not that bad at all really! I'm interested to see reviews of the two VC titles, which I know nothing about. "Sorry for the delay! We’re working very hard and doing our best to get Trine Enchanted Edition released for the Wii U as soon as possible, but we have not set a release date yet. We did hope to get the game released on January originally, but unfortunately we experienced some delays that prevented this from happening. We hope to still release the game during this winter. Thank you for your patience." They obviously missed the winter window, so any news - why or perhaps even what's causing the delay - would be welcome. The wii version of Klonoa needs to be on the eshop so everyone can experience its awesomeness. Cmon Namco! Meh. The Tengami sale is nice, though. I'm not quite sure how OlliOlli would be. OlliOlli for me. Too bad it isn't cross-save, that would be AWESOME. Considering how packed Sony schedule is for March, these barren Nintendo updates are tad bit depressing. I'm not happy with the 3DS Virtual Console being neglected. No Castlevania Aria Of Sorrow this week? @RCMADIAX I thought the US versions regular price was $1.99? Says that on the game overview anyway.Not quite sure what you mean about being restricted when you can have a sale by EU law? I'm no position to question you on it either but how do other indie titles release at promotional prices or have sales soon after release?I can't think of any off the top of my head right now but there has definitely been some cases where this has happened.Why were they not restricted by EU law? As for the price, it is equal to the US versions regular price. Oh, i'm sorry then. I was judging from the information found here. I'm used to seeing titles cost €1.99 here when they cost $1.99 in NA. May grab Tengami for cheap if I'm bored and that's it. Might do a bit of research on those nes games and see if they're any good though, not even heard of either of em. Good to see a couple of games launching at a "sale" price to reward early adopters. I've pretty much stopped buying any eShop title at full price because they always end up at bargain basement prices once initial sales have dropped off. That isn't a great way to treat your customers. Your excuse is lame mate! What happened to Mario vs Donkey Kong that was due this week? @deKay It was never due this week in Europe, it's released on the 20th here. What a crap week - long since it's been this bad! Lots of complaints, but maybe better if we add Monster Hunter 4 Ultimate Link costume+weapons DLC to the 3DS DLC section. Whens the Theatrhythm DLC gonna end? And there's the Tengami discount I've been waiting for. I agree. There have definitely been worse weeks than this. The 2 VC games is a nice surprise, especially since they were not originally released in Europe. Must be a lot of young gamers on here who do not connect with NES games? I hope these come to the US. Kung-Fu Heroes is a pretty decent game. I wasn't particularly fond of Flying Dragon, but I would jump on it if I had never had a chance to play it before. "HEY! NAMCO!! MAKE WITH WEAPON LORD ALREADY!!". Buying Tengami if it comes out in NA for a similar $3.99 price on Thursday. Man I hope the two culture brain games drop in the us this week! i love everything that company released in the 8, 16, and 64 bit eras! Especially their fighting games super chinese fighter might be my all time favorite snes fighter, and as a long time die hard streer fighter obsessive that says a lot! That being said to those in Europe who may not have played this week's vc releases, both games are really fun, the controls in flying dragon may feel a little weird at first but is still really fun it's almost like 2 games, half brawler and half fighting game. If you're in a position to have to choose one of the two releases; I'd pick kung fu heroes over flying dragon personally, it's your classic addictive arcade style action/brawler type game. One or two players defeat all enemies on a screen to unlock a door and progress to the next level, progress, rinse, repeat. I don't think I will be visiting the eshop until Nintendo have released a Wii game with added Wii U gamepad controls. I would like to think that as soon as they can do that, they can open the whole Wii shopping channel. This isn't the worst week by a long shot but it's not good. I bought OlliOlli for about £1.50 on PSN a few weeks ago, and much as I'd prefer it on a Nintendo console, it's so buggy and broken on both my Vita and PS3 that I'm wary of spending any more money on it. Also, OlliOlli 2 is out this week on other consoles, so it's a bit old hat now anyway. I don't think I will be visiting the eshop until Nintendo have released a Wii game with added Wii U gamepad controls. And when a Wii game that uses the Classic Controller does get released, it will use the Game Pad - and not before. Motion control games won't ever do so. Master Reboot is currently in the IndieGala Monday bundle along with 5 other games all for $1.99/£1.35. If those games were on Wii U or 3DS, I would download them. Something tells me that North America's update won't be super good after last week's Donkey Kong blowout. We still have OlliOlli, Proun+, and Mario vs DK though. They need to release a Wii game that supports the classic controller inorder for the gamepad to act as one... they are not going to go and create a whole new control scheme for these games if they don't have too. @Bass_X0 me neither, I bought quite a lot of Gameboy, NES and Game Gear games. Shame to see 3DS VC support waning. 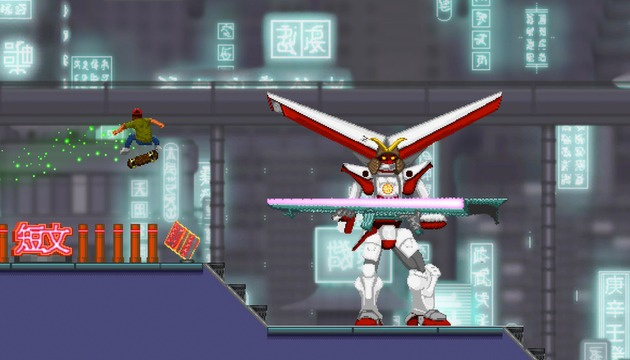 I'd like some input as to how OlliOlli turns out on Wii U/3DS.. Want it a lot, but unsure how well it transitioned over. And where are the promised releases of Outrun and Tappingo 2???? All a bit disappointing I have to say! Crap, crap and also crap. Remember when we actually used to get 3DS VC releases? Yeah, me neither at this point. I thought that Proun+ should have released in late 2014. I have to admit I [sighs] essentially sucked it up (is it too much of a vulgar expression? Because that's what I did) and ultimately bought Kirby Fighters Deluxe last saturday. Why, you ask? First, it's the awesome boss battle theme from the first SaGa; second, it's the same music that's more famous as the basis for the remix heard in the well-known fan animation, Michael Quest III. Look it up on Youtube, it's pretty fun. So, yeah. Beat Them Up for me. Not anytime soon, I hope. I'm still crossing my fingers for the Chocobo Tales rendition of The Prelude (if you haven't heard that version, look it up, you'll thank me later) and a few tracks from Chocobo Racing (Moogle Forest, Mt. Gulg, FFVIII Circuit and--screw it, the whole soundtrack from that game, damn you, Kenji Ito!!). Nothing really. I would like to get Assault but the track for me isn't very memorable to me to warrant a purchase. OlliOlii is a great game & cross-buy is an awesome deal. If you love skating games, this one is just as revolutionary as Tony Hawk and the SKATE series. The precision and skill required in this game is rewarding in itself. An absolute must get while it's on special.